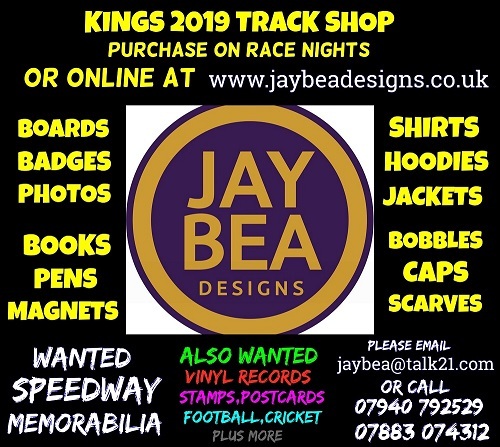 It’s been a week of Euro links for the Speedway club who race on the Eurolink estate in Sittingbourne, the Kent TouchTec Kings! For second year King, 18-year-old Alex Spooner a Continental jaunt had an unexpected twist but ended up providing valuable on track experience. “I was delighted to be selected to be one of 17 GB Under 21 riders to attend a special Young Lions’ training camp in Germany – with reigning double national champion, Robert Lambert. Then unfortunately with the stormy weather hitting Europe, the event had to be called off”. “I had the best two days riding and testing loads of new things for this season on two very different track conditions going from very wet to dry. I just want to say thank you to Young Lions’ team boss Neil Vatcher for organising for us to go Mâcon after Germany was called off. I would also like to say another massive thank you to Gary Flint for allowing us to join him and his team”. Alex also thanks his team of sponsors for the NL season which opens at Central Park at Easter: Calor Gas; CMF Carpentry & Trade Services; Rob Racing; Pro-Green MX; Covec Ltd Technical Textiles; The Finishing Line; and Burty. Meanwhile the rest of Spooner’s club mates had a late change of venue for the TouchTec Kings’ team training event. The original venue of Scunthorpe also fell foul to Storm Gareth and a last minute change of arrangements saw the team bonding practice shifted to Rye House Speedway in Hertfordshire. “It was all a bit last minute with a change of location but it was hugely worthwhile. Rob Ledwith got plenty of track time getting used to his new machinery. 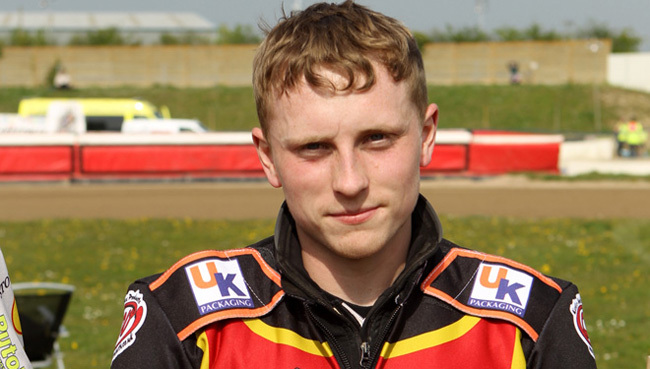 I was highly impressed with Dan Gilkes and Drew Kemp who were absolutely flying and both Nathan Ablitt and Anders Rowe looked very fast and Jordan Jenkins’ performance back to full racing fitness, made me very glad that we have secured his services as a full asset of the club signed him”. Ledwith is mounted on former three-times World Champion Nikki Pedersen bikes – imported from Denmark for the rider from Barham near Canterbury’s assault on the NL. A lot more locally-sourced is the machinery 15-year-old British Junior champion Ablitt will be riding one of the new Godden engines this season.